Oh man.. this is going to be a good one. Today, I am announcing the Jam Pedals Delay Llama give away. A while back I did a poll for best delay, and Jam Pedals scored very high (for the Delay Supreme – which is the big big brother of the Delay Llama). The fine folks at Jam Pedals were kind enough to send the Delay Llama, and to say the very least, I was super impressed with this pedal. 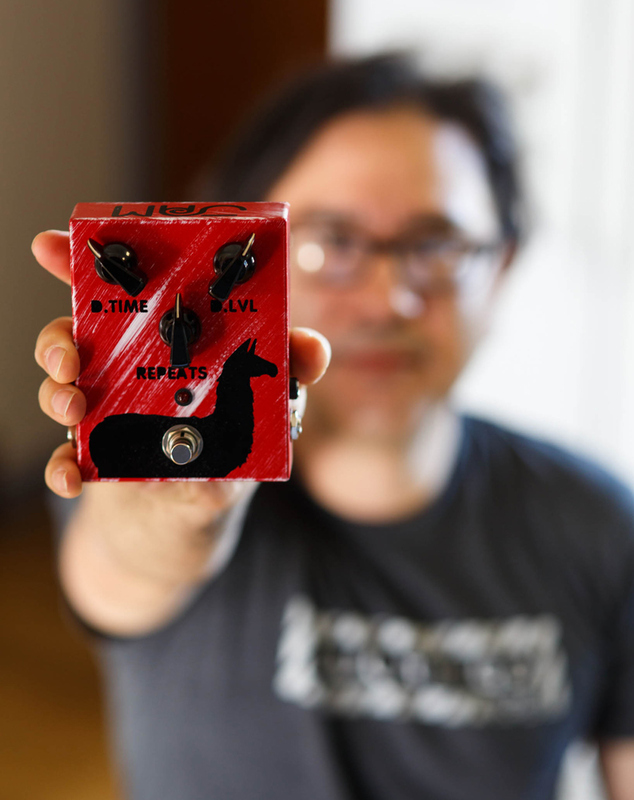 You can see more info here – “Jam Pedals Delay Llama“. In a nut shell, it’s a very simple to use delay with Time, Level and Repeats. What makes this so good is the BBD IC chips and that warm/gritty delay repeats. From slap back echo to infinite delay biting into itself, this pedal does and it sounds great. If you’re a fan of the analog delay tone, you’ll love this. Again, I would love to own this for myself, but I’m giving it away to a lucky Effects Bay reader! Now before I get to the give away, I would like to send out a special “thank you” to the awesome dudes at Jam Pedals. Please take a moment to follow Jam Pedals on Facebook, Instagram and Twitter! This give away is open to international submissions. US winners will receive the pedal with free shipping, but if you’re selected as the winner AND international, we are asking that you pay for shipping. This is a great give away! The Jam Pedals Delay Llama retails for $239! Additionally, I’m giving away a pair of 8″ Rattlesnake Cable Company Flex Patch cables. This give away will start today and run until May 24th, 2017 at 11:59PM MST. Don’t miss out on this one, and please help spread the word! We all love free gear, and making these give aways fun and successful for everyone! Thanks again Effects Bay friends!!! T-Rex Fuel Tank Goliath Give Away! Rattlesnake Cable Company Give Away – the winner is..
For some reason the “Follow Effects Bay on Twitter” option doesn’t seem to work for me. The “Follow Jam Pedals on Twitter” worked fine though. FYI. I can’t see an Enter link… Any help please? I’ll contact the sweepstakes support. I’m seeing others with YouTube subscribes in the entries?